Run the Rat Race - get out of the Office and get a Life! 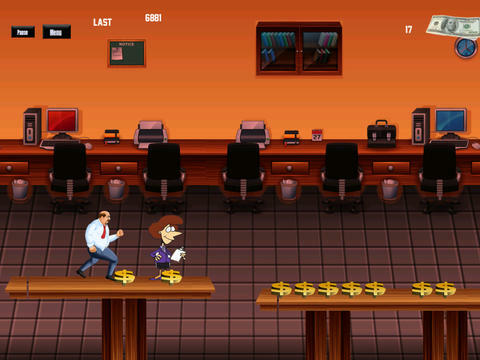 An Office Run is an endless action run game. 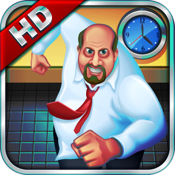 You play the role of the worker trapped in the office, late to meetings, schedules, sales targets, demanding boss all taking a toll on the shrinking bounds of lunch time. You need to dodge co-workers who scream and grump at your sight and give you even more tasks to finish. Avoid getting whipped by the governance teams - running bravely in the face of indomitable challenge. You are true Ninja, no easy worker, not giving up easily - know your stuff. Defender of the self, skillful avoider of trouble, a true survivor. Gifted with the ability to jump, dodge and roll around those obstacles and solid foot work, collecting each and every dollar. You are off jumping and running without stop. 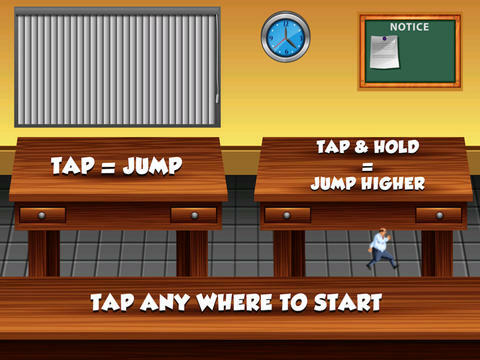 Avoiding and dodging obstacles, jumping through the maze of the office rat race. Determined to get a raise and bonuses, no predator or co-worker or boss can outrun this nimble Ninja!